Find American Craftsman windows reviews from consumer and contractor who know their products, window models and series and pricing information. If you’re after a bargain window then American Craftsman is a good choice. 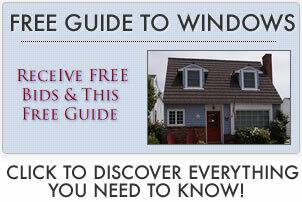 I have fifteen years’ experience with these windows and they have good customer service and a decent warranty. Don’t go with anything below the 8500 series and you’ll be alright. I was excited when I found that American Craftsman had been given a high ranking on the consumer reports. But then I started doing my homework and found that consumer report only tests windows which can be bought from a store – eliminating the higher quality vinyl windows. So I went down to Home Depot to see for myself and I cannot tell you how cheap the American Craftsman windows looked. There was movement even once the sashes were locked. So don’t rely on consumer report when making your decision. I would only recommend American Craftsman if you need a temporary window. Be sure to only use a private outside contractor, the box stores always go with the cheapest installer and that may result in poor quality work. It’s amazing what a good installer can do, they can make the window look great and make it more durable, reducing the risk of leaks. I am not a fan of the American Craftsman 8500 or Jeldwen, I think they are poor quality. If you really want to go to Home Depot for American Craftsman windows then look at the 9500, they are better than the 8500 series. If you can look at Atrium, they are good and the 3000 series comes with a lifetime warranty. Of course Simontons are my top choice but are more expensive. American Craftsman is the lowest quality product on the market. They are also owned by Andersen. They don’t have a good design and I’ve found they often leak, they also use chap materials and the vinyl often cracks. I would only consider American Craftsman for a rental property or property you are in the process of selling, but otherwise I would consider these windows a complete waste of time. Their windows are engineered according to the minimum requirements using the cheapest of materials and I have never read any good reviews about them. If you’re looking for a good window look at the Simonton 6500 rather. You can also consider Sunrise or Gorell at a similar price with much better quality. I was wondering if there is anyone who has experience using the American Craftsman 7550 windows. We recently had a number of them installed on our property and the first rains caused leaking on one of the windows. The leak appears to be at the top of the window, but on further inspection I noticed that the top of the windows tend to lean in towards the home and I was wondering if this is normal. Any advice is appreciated. I have been installing windows for many years and always tell my clients not to use any windows, including the American Craftsman that you buy from a home building supply store. These windows are usually cheaper options. As you are already in this situation, you should get in touch with whoever installed your windows immediately to repair the problem. I would recommend you have a drip cap added over the casement window at the top, should your installer not be able to repair the problem.